Modern traditional framing is utilized to create the look of the Waterlyn Collection. 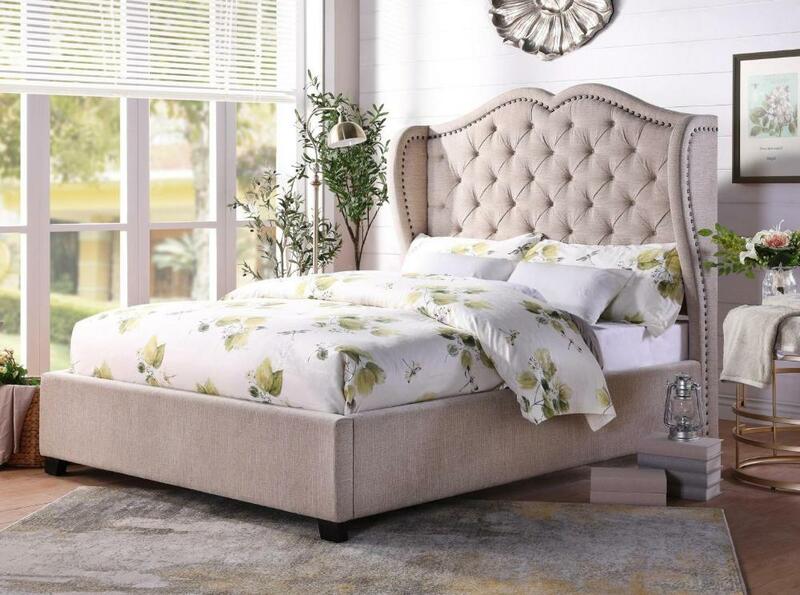 The high wing-back design of the fully upholstered bed features neutral toned fabric accented with profile-defining nailhead trim and pleated button tufting, solidifying the traditional look of this bed offering. FEATURES: Neutral Toned Color ~ Modern / Traditional Style ~ 100% Polyester Fabric Cover ~ Button Tufting / Nailhead Accents.